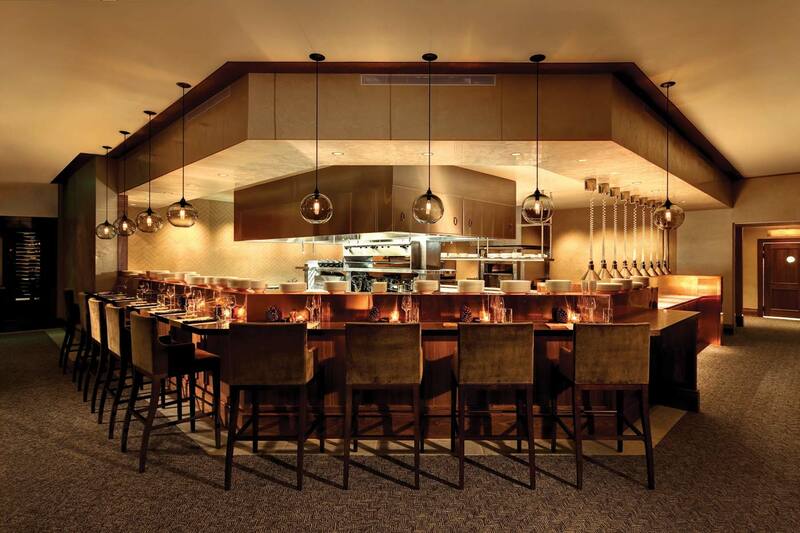 Boasting the most celebrated Park City restaurants, enjoy light fare created by Jean-Georges Culinary Concepts in this modern mountain lounge. Masterful cuisine, world wines and breathtaking alpine scenery deliver a Park City spectacular dining experience in our wonderful restaurants and bars. Enjoy farm to table cuisine and slopeside scenes at J & G Grill. 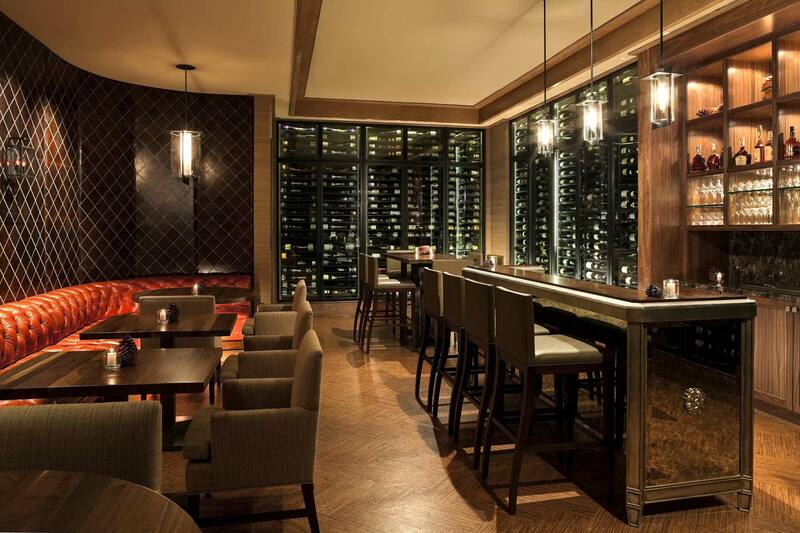 Savor dramatic mountain views and cocktails in front of the wood-burning fireplace at St. Regis Bar & Lounge. Sip passionate pours in the elegant Wine Vault, or grab a gourmet sandwich on the Mountain Terrace. The Library is the serene setting for The Regis Tea Ritual. Enjoy 24-hour private dining with exquisite cuisine delivered to your room or private balcony. ST. REGIS BAR AND LOUNGE Enjoy stunning mountain views, cocktails and conversation in front of the magnificent wood-burning fireplace at the St. Regis Bar and Lounge. Sip our signature 7452 Mary, an enticing blend of our famous Bloody Mary mix and fine oat-distilled Vodka 7000 from the local High West Distillery, served with a salt rim and a wasabi-celery foam. 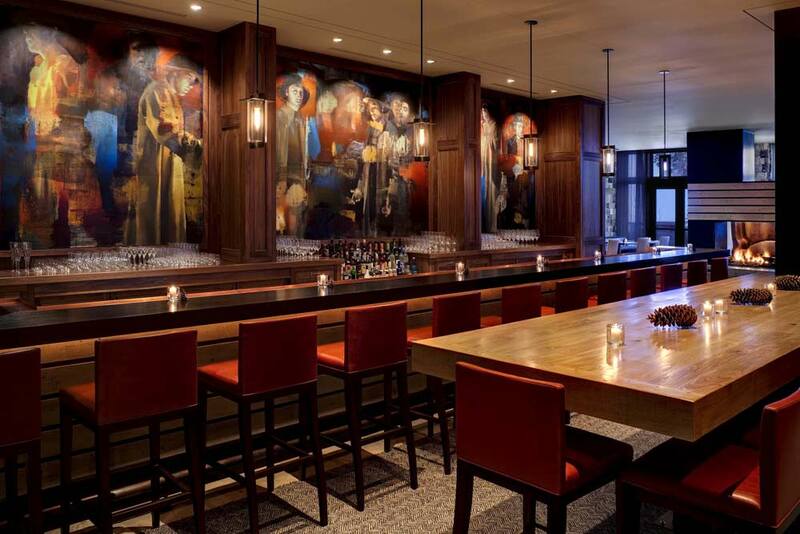 Paying homage to St. Regis tradition, the bar is graced with a commissioned mural reflecting Park City's history as a silver mining town by artist Phillip Buller. Enjoy light fare developed by Jean-Georges Vongerichten in this modern mountain lounge. J&G GRILL J & G Grill is a Park City restaurant and culinary masterpiece, serving passionate cuisine designed by famed chef Jean-Georges. Experience a unique Park City dining adventure with tantalizing appetizers, gourmet pizzas, side dishes and accompaniments from his portfolio of domestic and international restaurants around the world. Each dish is created with the highest quality meats and freshest local fish. Simply grilled preparations accompanied by bold condiments anchor the J&G Grill dining experience at The St. Regis Deer Valley. Extraordinary service, intriguing wines, brews and specialty cocktails enhance the experience. Chef de cuisine Shane Baird creates brilliant cuisine and innovative dishes using the principles of "slow food" and local "farm to table" cooking in his menus. Inspired cooking and flawless views are a treat your senses. Enhancing the enthusiastic fare are beautiful surroundings: the dining room boasts a captivating exhibition kitchen, double-sided wood-burning fireplace, walls clad in quartz stone and a ceiling framed with walnut ceruse beams. The atmosphere is rivaled by the magnificent slopeside views just beyond the floor-to-ceiling windows. We invite you to join us for an unforgettable Park City dining experience. J&G Grill is open for breakfast, lunch, and dinner daily. ST. REGIS WINE VAULT Whether you are a wine connoisseur or a wine lover, The St. Regis Wine Vault offers spectacular sips by the bottle or glass. Enjoy light hors d'oeuvres with your libations or reserve one of two private Wine Vaults for an intimate dinner. Two adjacent private Wine Vaults offer storage for 13,000 bottles. We invite culinary enthusiasts to join us for intimate private parties, receptions, Winemaker Dinners and exclusive St. Regis Aficionado experiences. Perfectly complementing these extraordinary wines are customized menus by Chef de Cuisine Shane Baird. TERRACE CAFE As close as you'll get to a "ski-through" Park City restaurant, this casual café serves quick bites to fuel your downhill adventures. Grab a gourmet sandwich, salad or soup to savor on the Mountain Terrace overlooking both Deer Hollow Run and Deer Valley. The Terrace Café serves food daily during the winter months. In the summer, the Mountain Terrace is surrounded by a dramatic "Garden of Fire" which makes it a stunning outdoor venue for receptions, ceremonies and celebrations. LIBRARY Enjoy a pick-me-up in a casual, comfortable, bookish setting. Mornings feature coffee, tea and hot chocolate while afternoons offer cold beverages and hors d'oeuvres. Year-round, The Library offers a tranquil escape, with comfortable seating and a selection of books for quiet moments.